The purpose of a flare is to achieve safe, reliable, efficient and effective disposal / combustion of gases (and occasionally liquids) released from the associated process plant. Whilst being primarily a safety device, providing safe and controlled combustion of released gases, the flare also serves to reduce green house gas emissions by converting hydrocarbon gases by oxidation to carbon dioxide and water vapour. Although carbon dioxide is a significant greenhouse gas and a regulated pollutant, it is far less potent and more preferable than releasing unburned hydrocarbons. Increasing levels of environmental awareness and legislation have resulted in the development of technology designed to utilise/reduce/eliminate the otherwise flared gas under normal operating conditions. However under plant upset and emergency situations the pressure relief network and flare system has to be sized and designed to safely handle the maximum flow condition to prevent a dangerous situation from occurring. Equally the flare system has to be designed such that it is immediately available should this situation arise. Argo Flare Services focuses primarily on supporting offshore operators, however the design considerations are similar across the onshore oil and gas and petrochemical sectors and the objectives are the same. The principal application difference is varying composition of the process stream being flared. Constituents can range from hydrogen to heavy hydrocarbons, and can often include inert gases, acid gas and condensates. 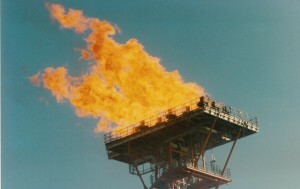 The unique operating conditions of each process facility in addition to the respective site conditions mean that bespoke flare system designs are required.